There’s a reason why people love brunch, and it usually isn’t the food. Brunch is all about leisure. It’s a time to relax and recharge; to share laughter and catch up with family and friends. Brunch is the exact opposite of a the convenience meals we usually turn to during the week; it’s a time to take things slow, and to savor the experience. In Italy they call that sort of pleasure, “La dolce far niente” – the sweetness of doing nothing. And Portico by Fabio Viviani is making the experience even sweeter with an incredibly decadent brunch menu that you’ll look forward to all week long. 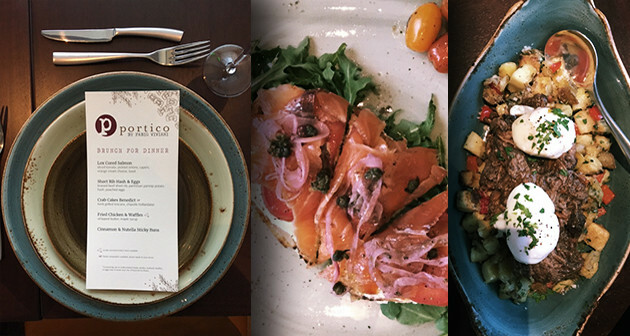 Opened in February 2017, Portico is located at the del Lago Resort and Casino, about an hour’s drive from downtown Rochester. A brand new luxury hotel and spa are expected to open shortly, making it inevitable the Portico would jump on the brunch scene (and giving me serious #vacationgoals). 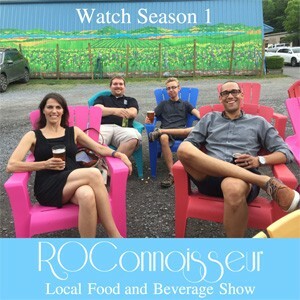 Rochester A-list was invited to sample the new menu last Thursday, a curious time for brunch, but then, is there ever a wrong time to enjoy a delicious meal among friends? Not to mention plenty of ice cold Rose. 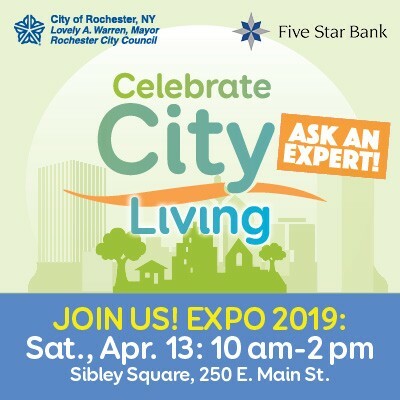 The dishes were served family style, starting with a stunning lox cured salmon served with sliced tomatoes, pickled onions, imported capers from an island just off the Italian coast, and orange cream cheese, served atop toasted, house made polenta bread. Have you ever seen so many wonderful words in one sentence? I’m going to make a startling confession here: I don’t care for salmon. So no one was more surprised than I was when this turned out to be my favorite of the evening – a star among stars. Cured in limoncello for 72 hours, the salmon melted in my mouth. Rather than a pronounced citrus flavor, the amazing orange cream cheese was light and sweet, the perfect accompaniment to the savory elements. It was all carried off nicely by the polenta bread, which was deliciously chewy without being heavy – hearty enough to stand on its own beside its formidable toppings, but still soft and pillowy. It was more than delicious; it was memorable. 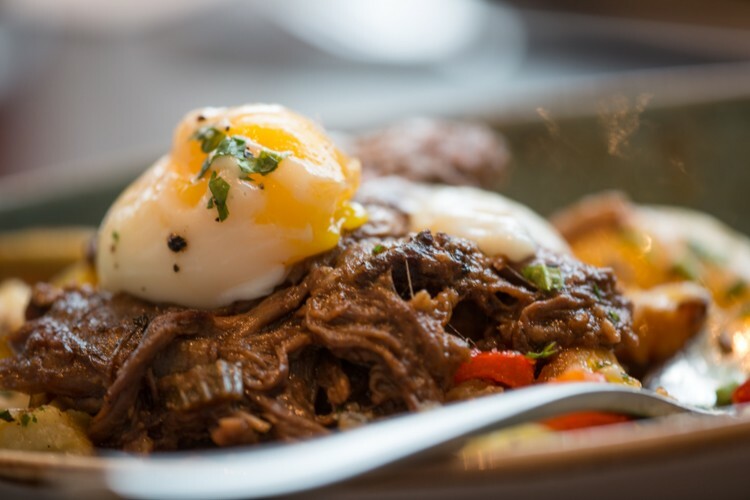 Next came shredded beef short ribs braised in red wine and served over a potato, parsnip and red bell pepper hash with a perfectly poached egg sitting on top like a crown. If you’re thinking, “Parsnips? Really?” Let me assure, you: parsnips. YES. They added texture, plus that distinctive peppery bite that makes them great – and made them perfect for this dish. No fancy sauces here; the egg yolk filled that role, and filled it flawlessly. 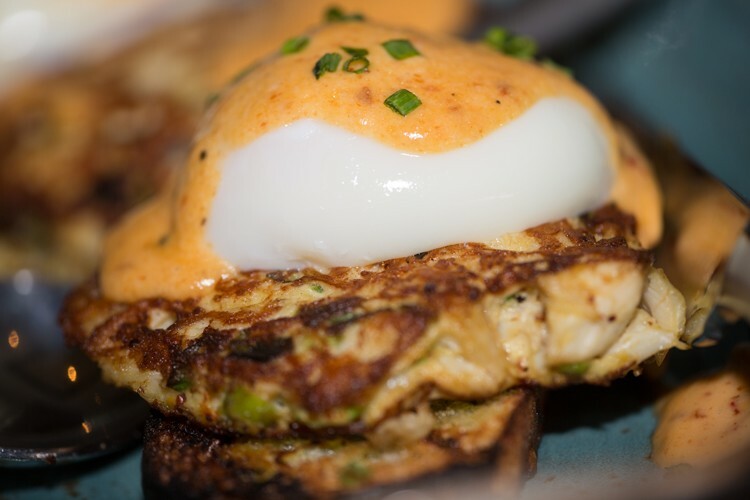 Crab Cakes Benedict followed, a classic brunch staple taken to a whole new level thanks to crab cakes made almost entirely of crab, and just barely held together with a dash of breadcrumbs and spices and a whisper of egg white. Sweet and succulent, they were complemented by a spicy chipotle hollandaise and more of that beautiful polenta bread. Creamy poached eggs made another welcome appearance. 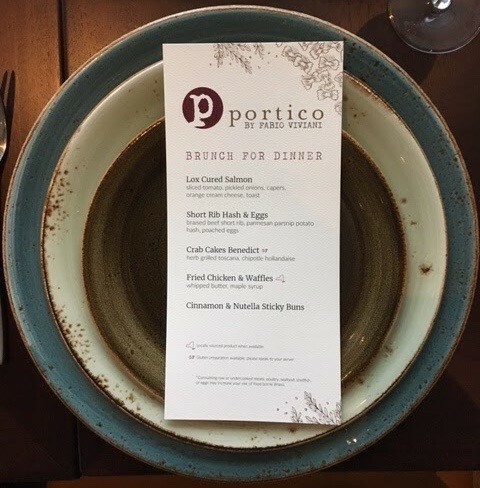 It seems like every brunch restaurant is executing their own take on chicken and waffles, and Portico is no exception – and we are all the better for it. What could be a heavy meal was instead, perfection. 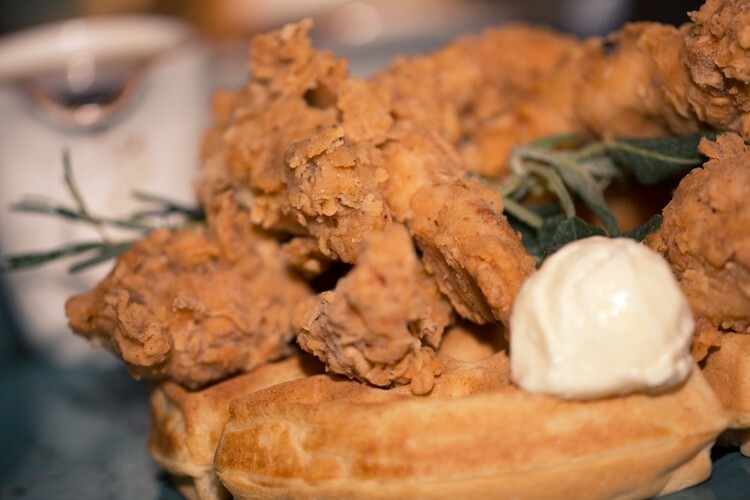 No grease here, just crispy, juicy, spicy boneless chicken over impossibly light waffles, topped with freshly whipped butter and local maple syrup. This is chicken and waffles as they are meant to be enjoyed, and I loved every bite. Last, but most certainly not least, was a cinnamon and Nutella sticky bun. Chef Viviani introduced each dish as it was served, and when he came to the sticky buns simply said, “You’re welcome.” Indeed, these are a gift to foodies and sweet toothed diners everywhere. 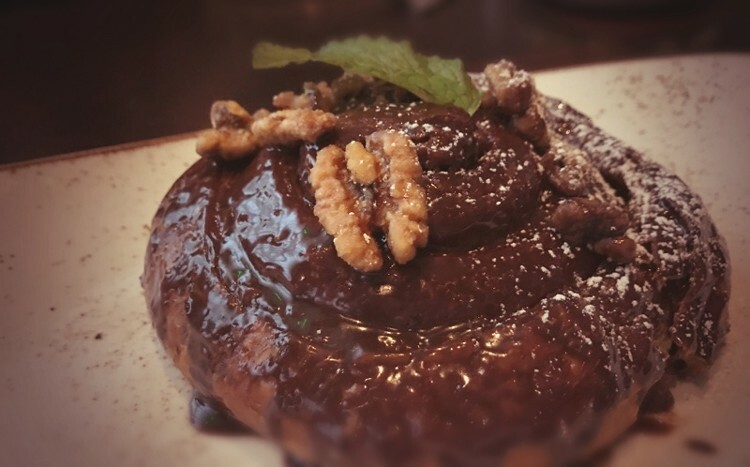 They start with house made brioche dough, candied walnuts, and a luxurious amount of the chef’s own favorite guilty pleasure, sweet, chocolatey Nutella. While a tad heavy for my taste (I’m a savory girl) my dining companions couldn’t get enough. Even I had to agree, those few sweet bites were the perfect end to an amazing meal. 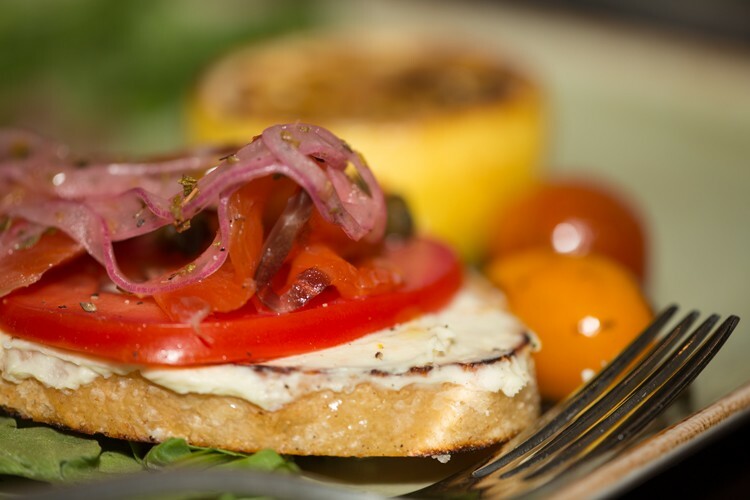 Try the new menu for yourself when it debuts July 1st. It’s a meal worth waiting for. Look! 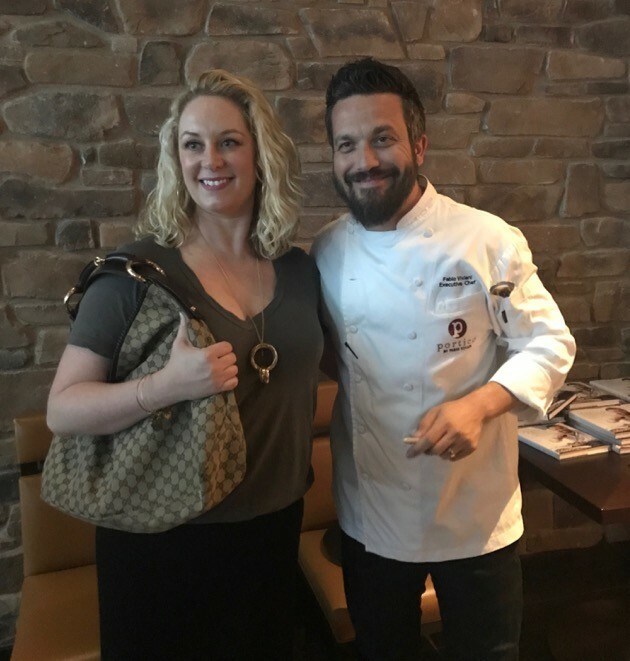 There I am with Fabio Viviani!